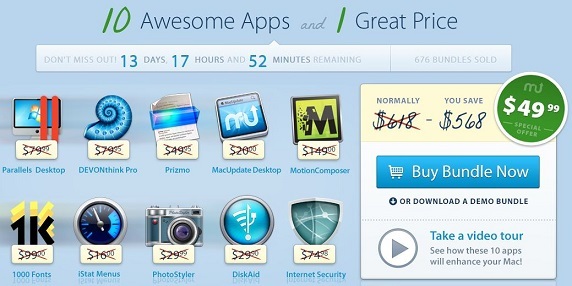 EXPIRED - The Deal of the Year with Parallels 9 and 1Password plus 5 apps for only 79,99$ - Mac-Bundles.com: Pay less for more apps! 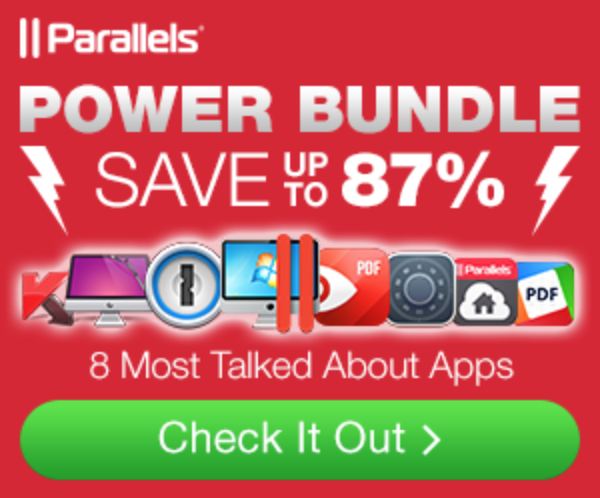 There is finally a new bundle from Parallels. 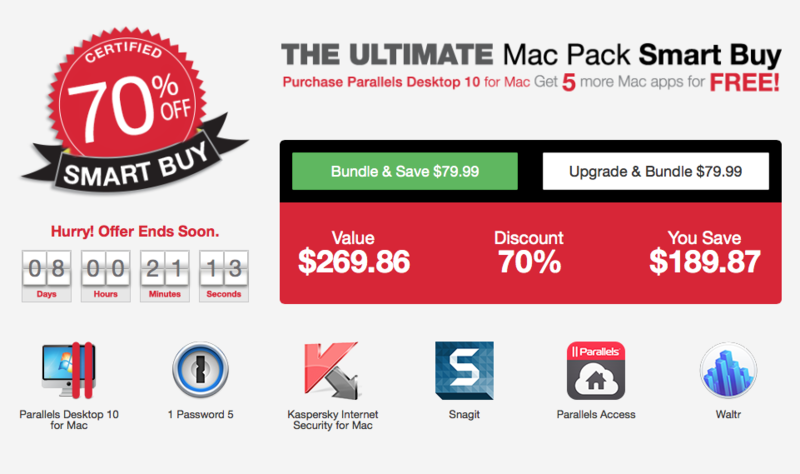 THe so called “deal of the year” contains an upgrade to Parallels 9 and 1Password. Both apps justify the bundle price alone of 79,99$. The bundle originally comes from the German Parallels homepage. We have not found an english version of it yet, so normally, you should be able to buy the bundle as well. In case there is an english version appearing, we let you know asap! In addition to this, you will receive another 5 apps. The savings are around 77%. It is not mentioned how long the bundle will be available so you better hurry up. is THE windows virtual machine. 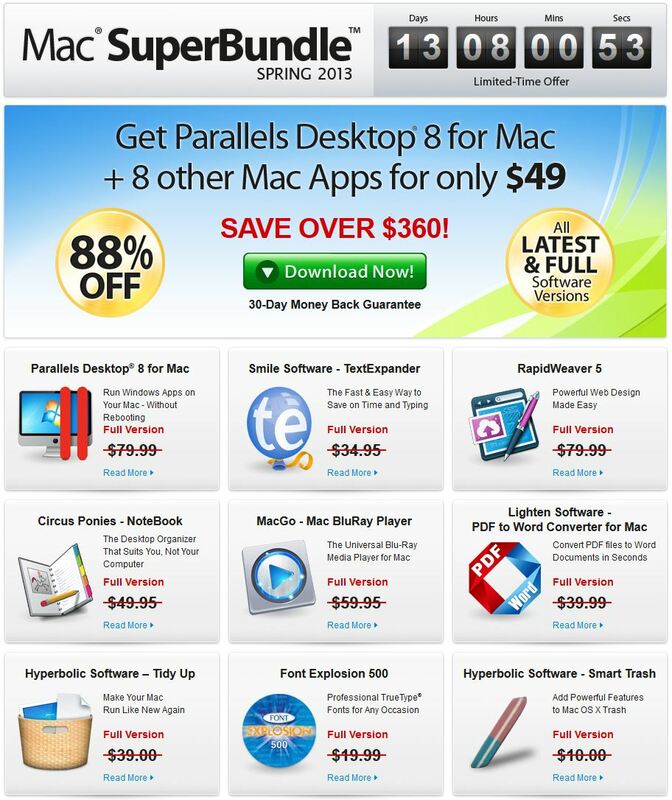 Parallels 8 also supports Mac OS X 10.9 and is an attractive tool, if you are using both windows and Mac OS X.
gives you 6 months access to apps for Windows and Mac as they were made for iPad. is one of the leading antivir tools for the Apple Mac.